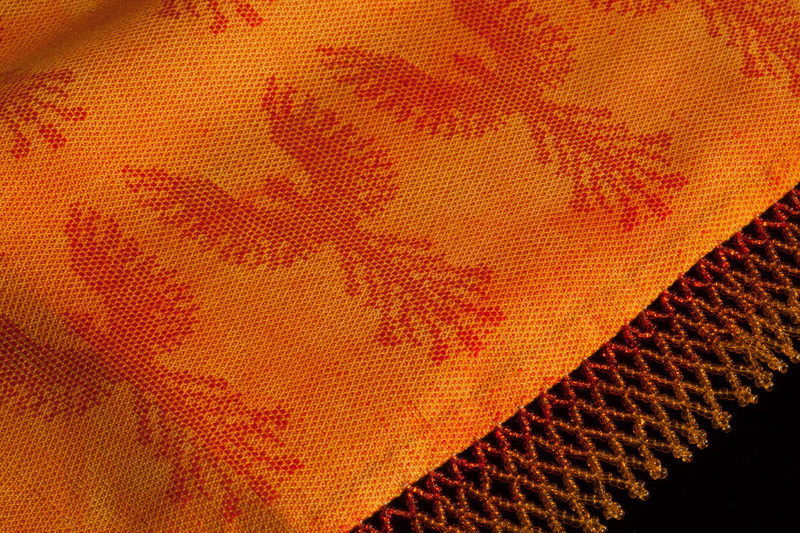 I worked with phoenix designs for over a year, envisioning joyous firebirds sweeping through blasts of flame inside a furnace. 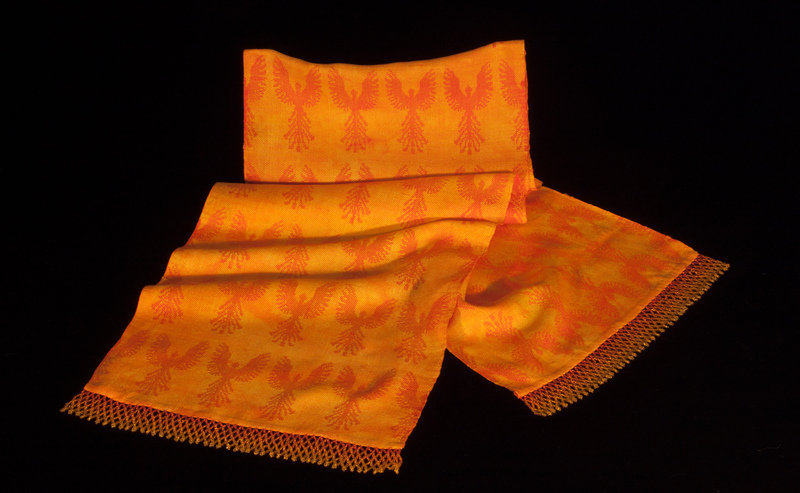 To achieve this effect, I wove scarlet phoenixes on a yellow background, then overdyed with pale orange dye to give the effect of blazing air currents. I had intended to use a different design for the beaded fringe, but discovered that I lacked the right number of beads in one color. After driving all over town buying tubes and packets of beads, I still hadn’t managed to match that color. Then it struck me: use all those colors to produce a fringe that gradually shaded from yellow to red! The result beautifully captured the spirit of flame.